All Hunters Chase homes currently listed for sale in San Antonio as of 04/23/2019 are shown below. You can change the search criteria at any time by pressing the 'Change Search' button below. "This spacious 4 bedroom, 2.5 bathroom open floor plan offers privacy in a great location. Nestled in a quiet cul-de-sac, this home backs up to a green belt and city nature trail system. Easy access to 1604 and IH-10 make this a desirable location. New flooring, appliances and roof compliment this large floor plan." 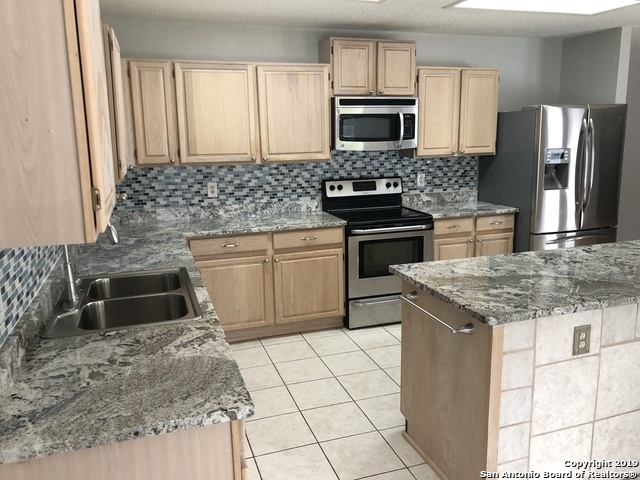 "Cozy 2 story home in great location: close to La Cantera, The Rim, Fiesta Texas, UTSA, USAA & Medical Center, New granite countertops in kitchen & upstairs bathrooms. All stainless steel appliances, window blinds throughout, ceiling fans. Plenty of storage. Fresh paint, brand new carpet in all bedrooms,large backyard w/ tiled patio & sprinkler system. New roof (2016), new AC interior unit (2018) & new water heater (2017). Stainless steel Refrigerator (French doors & Bottom Drawer) INCLUDED."